This book is unfortunately no longer available from our UK warehouse. However, there are still a few copies availabile from other online booksellers, and from our US distributor, Steiner Books. Describes the starcut diagram which underlies many significant geometrical patterns and proportions across the world. Malcolm Stewart has discovered a remarkable geometrical device. The 'starcut diagram', as he has called it, is at first glance a simple way of dividing the area of a square. After extensive research, however, he found that it has extraordinary mathematical properties, suggesting that it may be no less than the source of the number system used when ancient humanity first built cities. He shows that the starcut diagram underlies many significant patterns and proportions across the world: in China, the shaman's dance; in Egypt, the Great Pyramid; in Europe, a Raphael fresco; in Asia, the Vedic Fire Altar, and many others. This book is an intellectual adventure, written for a general reader without specialist knowledge. 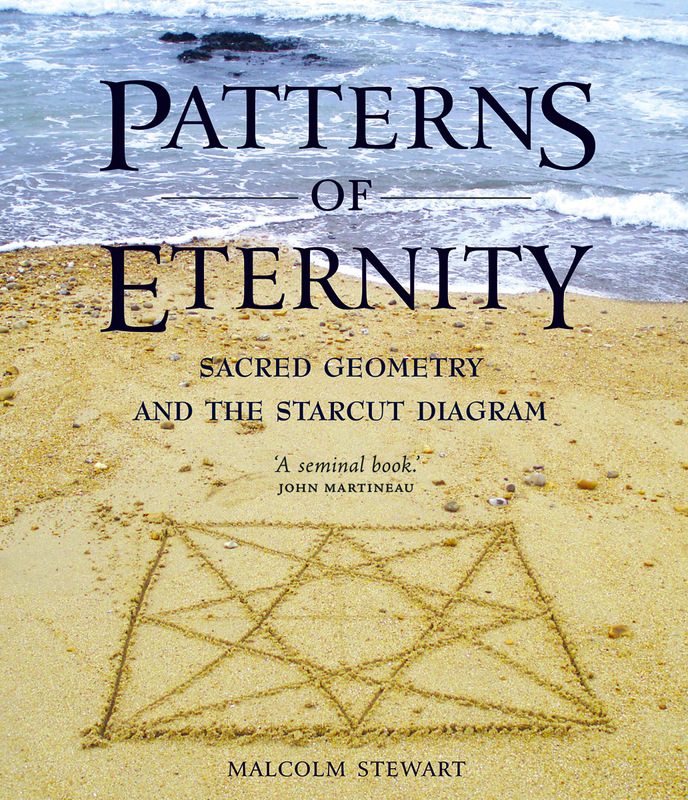 Illustrated with around 180 photographs, drawings and diagrams, it tells the story of many fresh discoveries, bringing sacred geometry to life in an original and inspiring way. 'I remain in awe of this book. 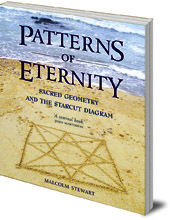 Patterns of Eternity is probably the single most important addition to the body of sacred geometry to re-emerge in a decade. Malcolm Stewart's exposé of this deceptively simple device will have scholars of art, architecture, mathematics and geometry entranced for centuries to come. Malcolm Stewart has had a varied career: priest, singer-songwriter, publisher's editor and book jacket designer, cartoonist, BBC and ITV producer, traveller, UN project coordinator, NGO relief-aid and refugee organiser, freelance artist and stained glass designer, lecturer and writer. He is 75, has five children and lives with his wife in Surrey. as well as a clip on YouTube.